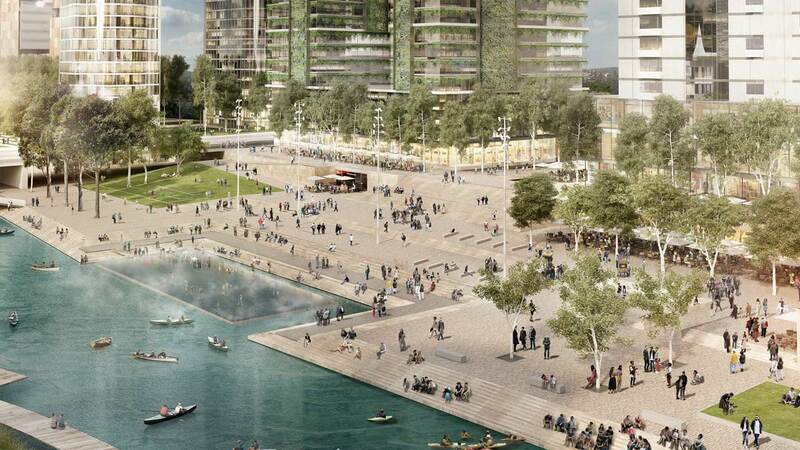 McGregor Coxall are a multi-disciplinary design firm located in Australia, China and the UK dedicated to assisting cities achieve sustainable prosperity. 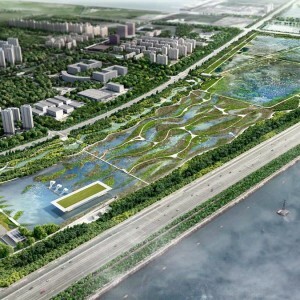 Our international team provides services through Landscape Architecture, Urbanism and Environment disciplines. 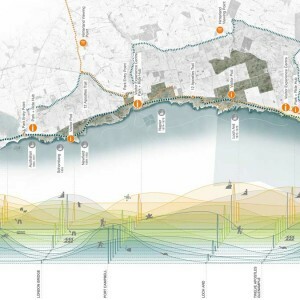 Embracing leading digital technologies, we deliver design solutions for complex urban and environmental challenges. 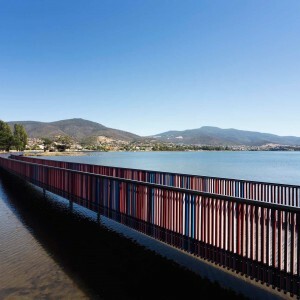 CEO Adrian McGregor founded the firm in 1998 and was joined by Philip Coxall in 2000. 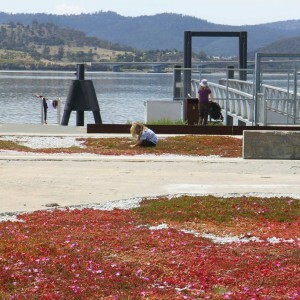 The two studied landscape architecture together at the University of Canberra in the mid 1980’s. 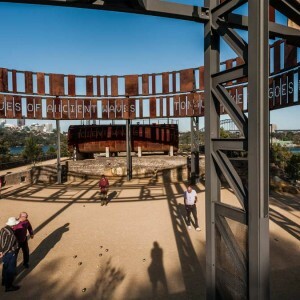 Since then the practice has grown to nearly 40 people in four studios and completed more than 300 projects across three continents. 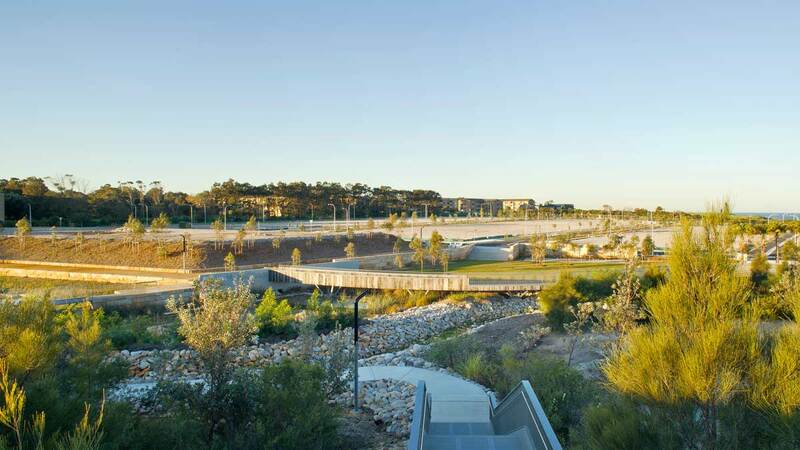 Our services cross the traditional boundaries of urbanism, landscape, culture, planning and ecosystem sciences in a culture driven by innovation. 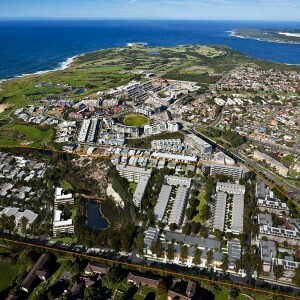 Biocity Research was established in 2006 to enable partnerships with universities and scientific agencies. 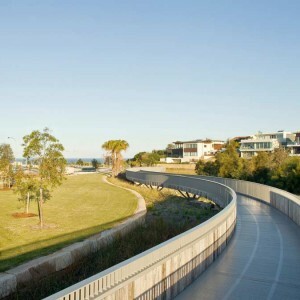 Primacy is given to design excellence throughout the entire organisation and is managed by the design group. 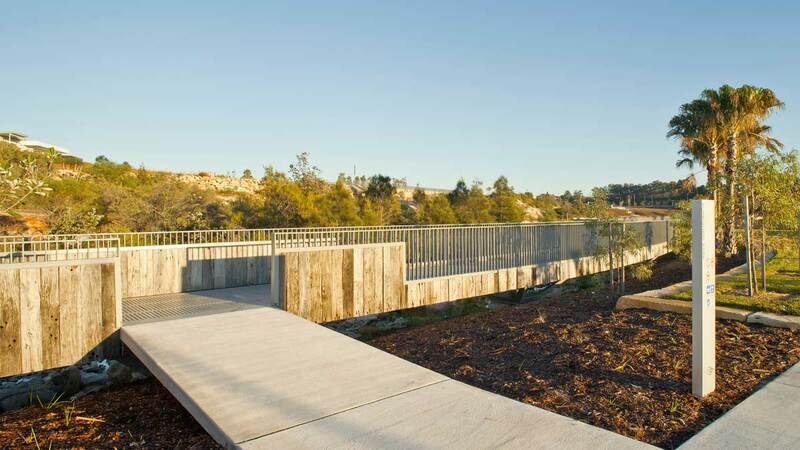 Having received more than 60 awards including the coveted international TOPOS prize, we have been recognised for delivering a diverse range of large and small scale projects for both private and public sector clients. 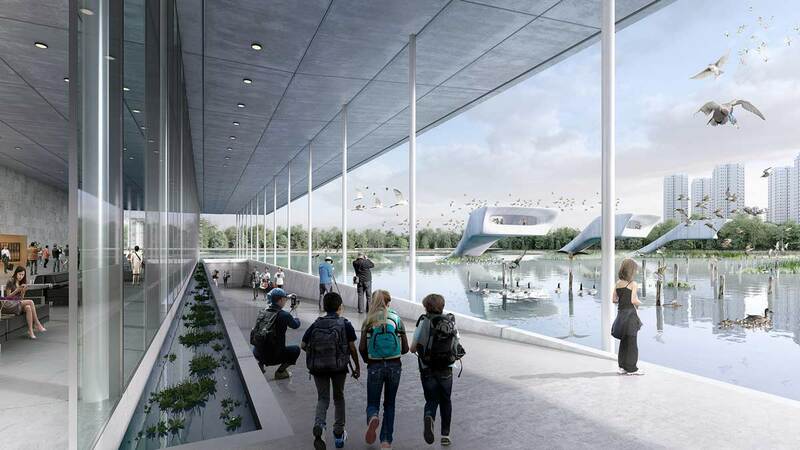 The firm has been published in numerous international journals and awarded first prizes in three prestigious international design competitions. 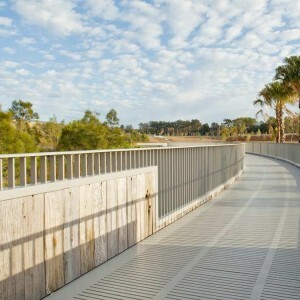 The business is supported by a talented administration team and a custom built dashboard ERP software engine that manages all operations. 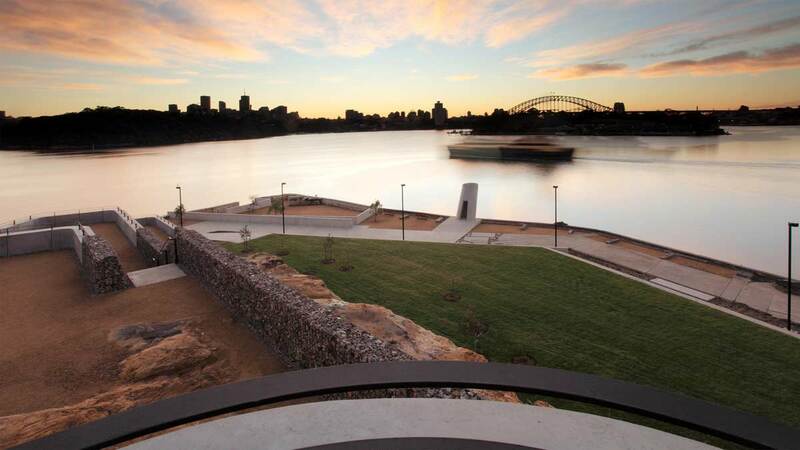 We are an ISO 9001 accredited business dedicated to continuous improvement. 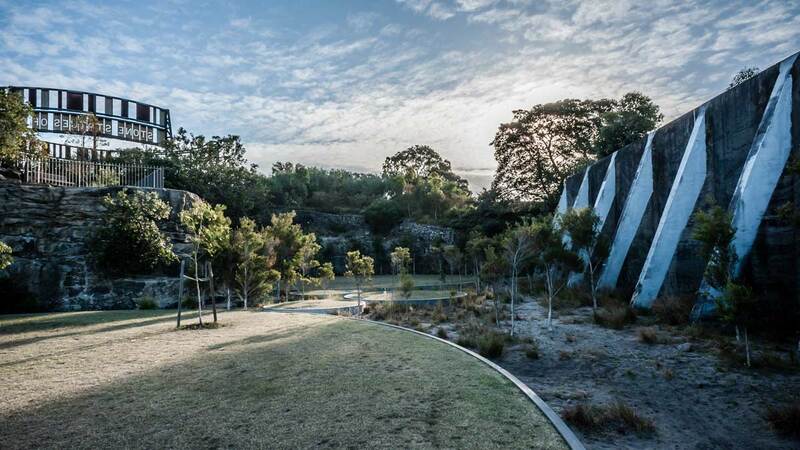 Adopting an approach that aims to blur the boundaries between culture, design and ecology, we believe that quality in the built and natural environments is only achieved through a rigorous process of questioning, investigation and refinement. 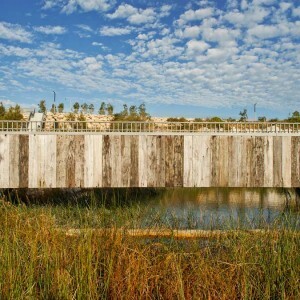 The company prizes highly the social, civic and environmental responsibility inherent in our work. 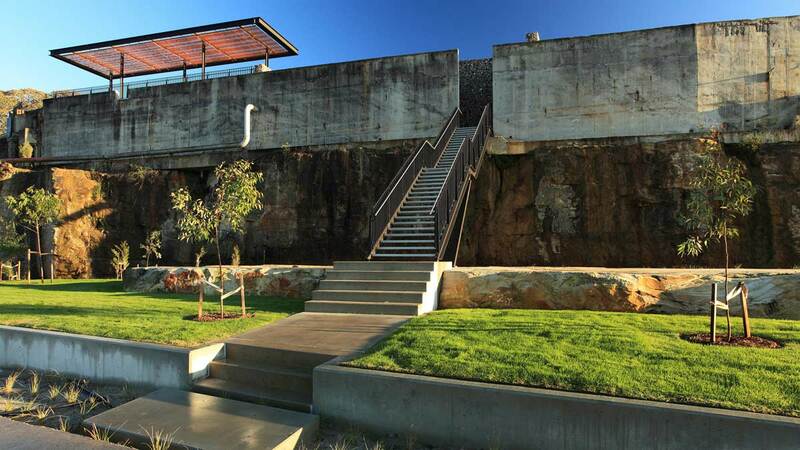 Not content to accept traditional design approaches we engage deeply with our clients and consultants to convey designs that deliver innovation. 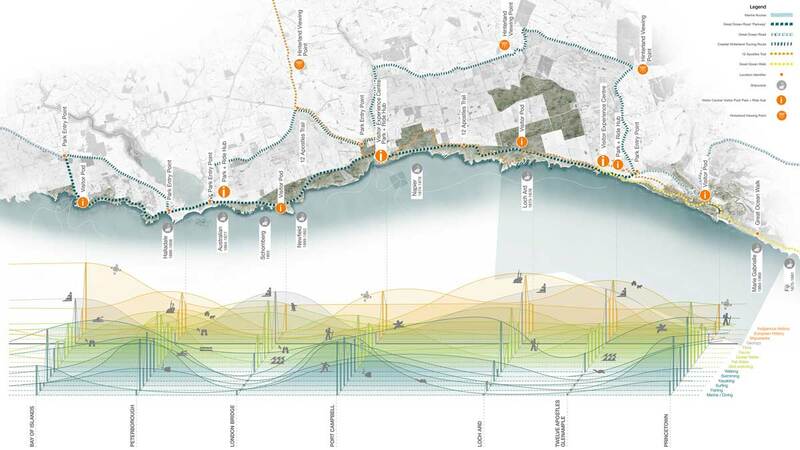 Using digital technology as a tool, we translate ideas into digital form as a means to test concepts. 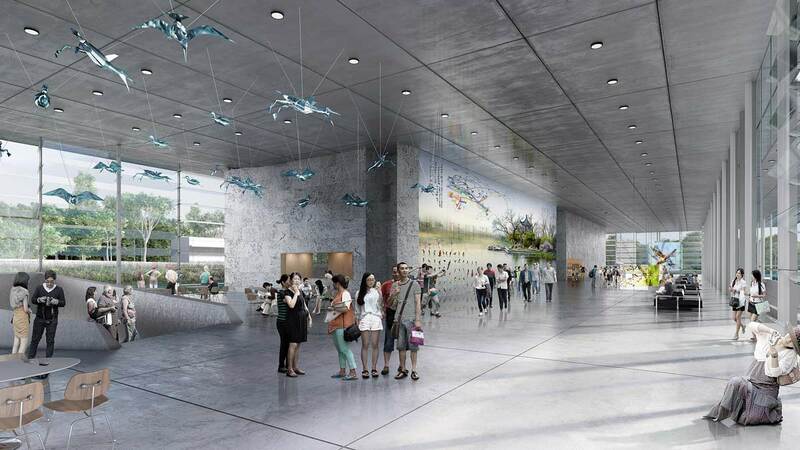 3D models are refined throughout the entire project and used for environmental analysis, BIM, 3D printing and construction documentation. 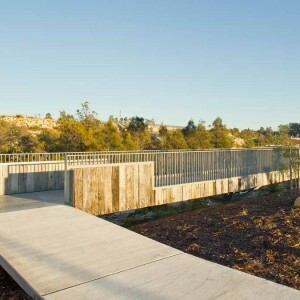 Our collaborative, problem-solving approach and commercial savvy allows us to work effectively with both government clients and the private sector. 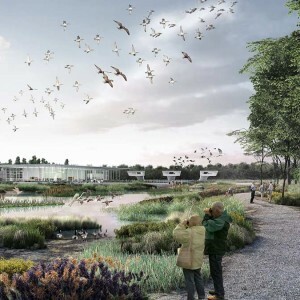 Wherever possible, our projects propose use of sustainable technologies and systems to reduce energy consumption, manage water cycling on site, reduce maintenance costs and minimise effects which damage the natural environment. 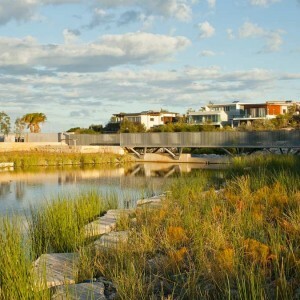 McGregor Coxall offer creativity and contemporary design thinking whilst achieving all the budgetary and programmatic requirements of our projects. 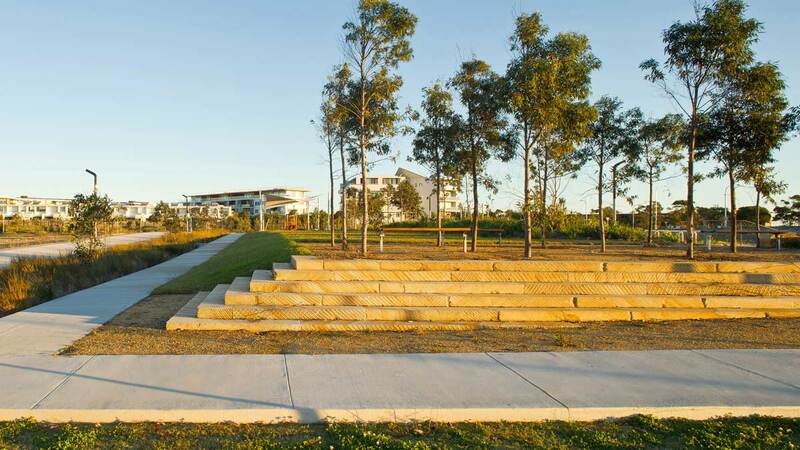 The awards and competitions the firm has won is evidence of our commitment to design excellence and ecologically sustainable development. 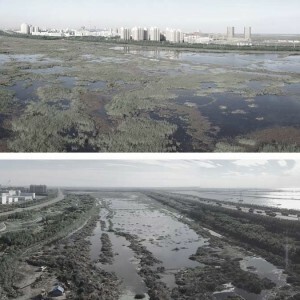 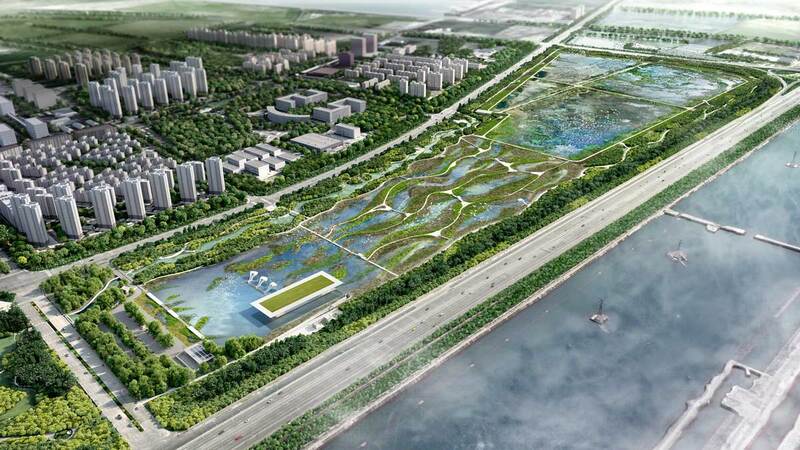 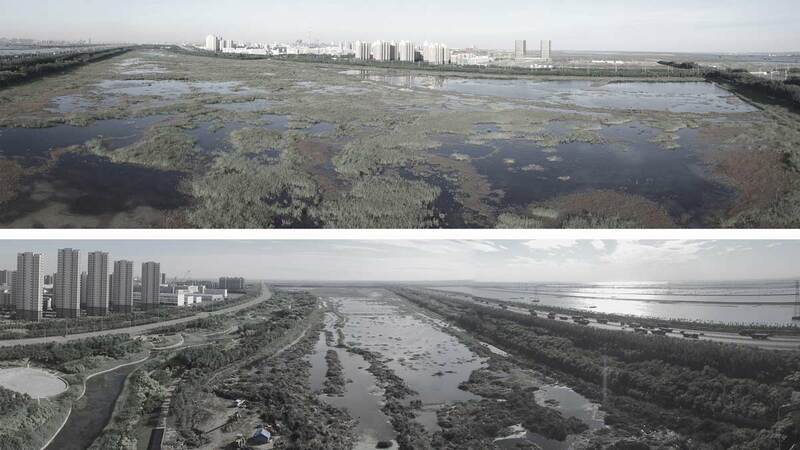 Funded by the Asia Bank and led by the Tianjin Economic-Technological Development Area (TEDA) the Lingang Bird Sanctuary is an ambitious project to deliver a flagship ecological wetland precinct. 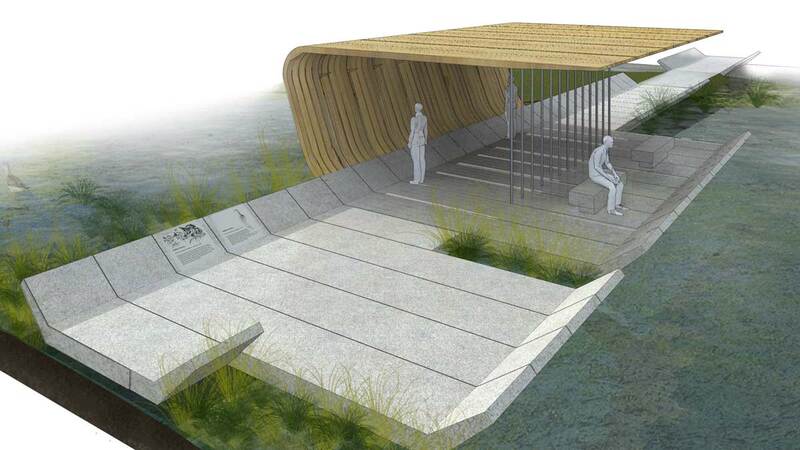 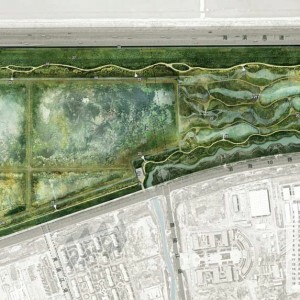 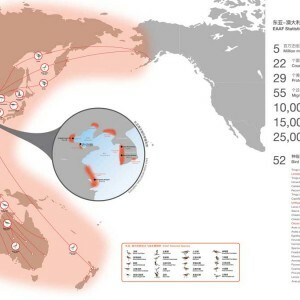 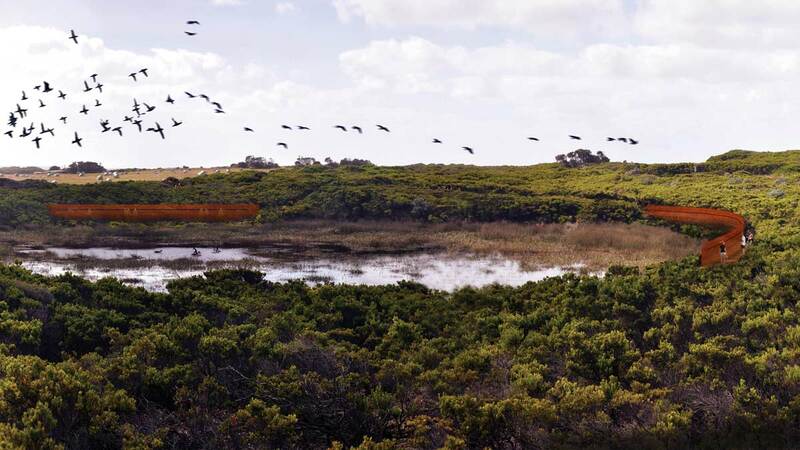 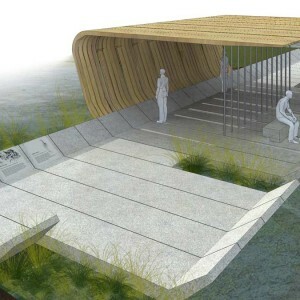 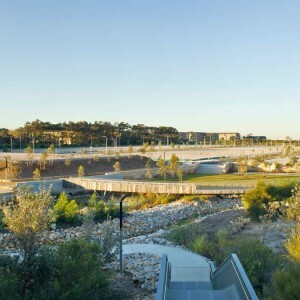 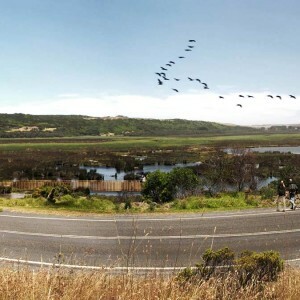 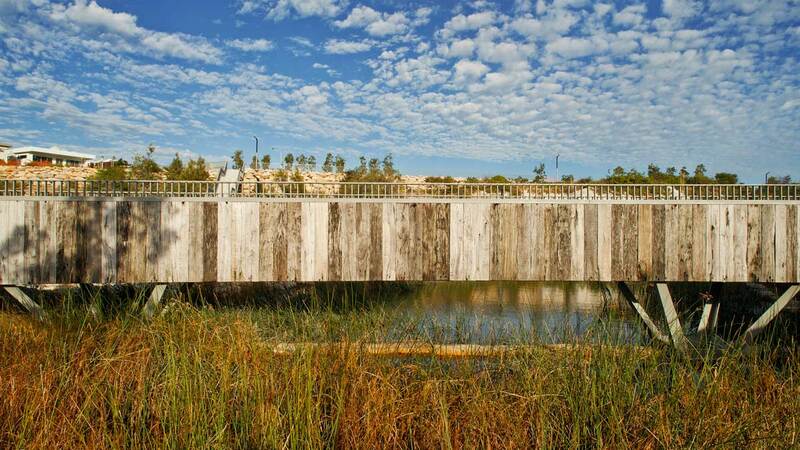 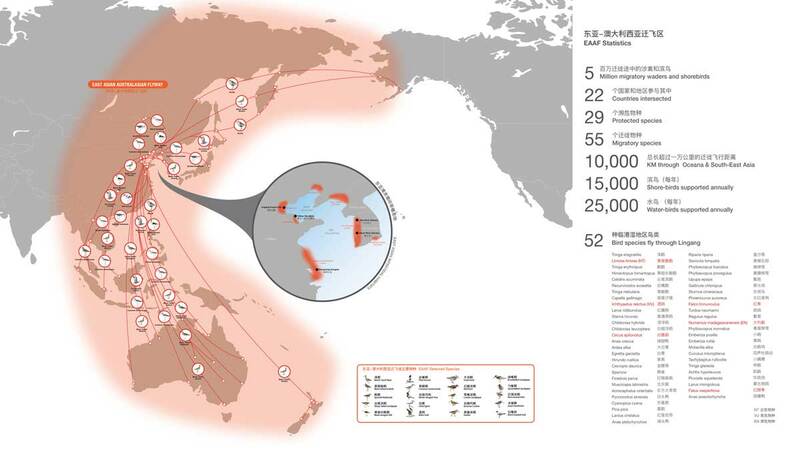 Located along the key bird migration route known as the East Asian Australasian Flyway the wetland design responds to targeted environmental conditions to attract and offer refuge for several endangered bird species. 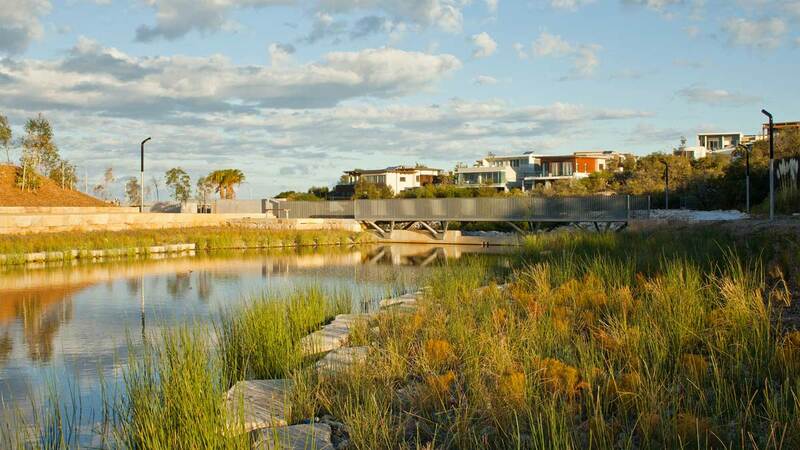 McGregor Coxall worked closely with ornithologist Avifauna Research to embed the complex interactions of site soils, feed sources, wetland vegetation and water management into the overall design. 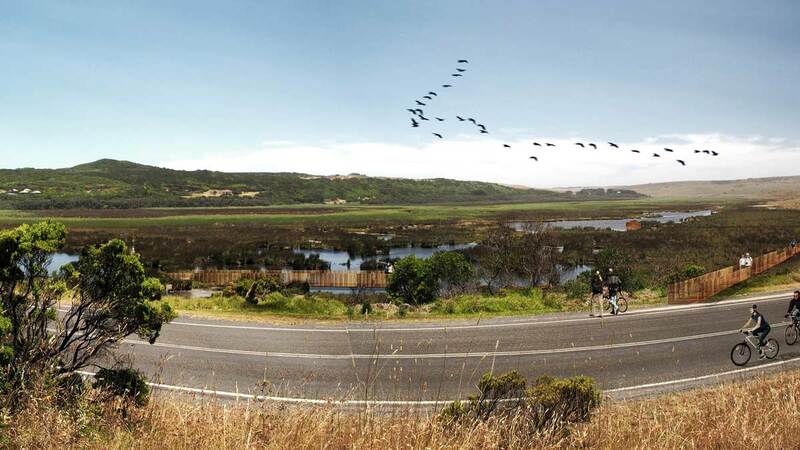 Spanning 61 hectares the landscape has been specifically designed to support the needs of more than fifty species of birds in three different water habitats including an island lake with shallow rapids, reed zone and mud flats. 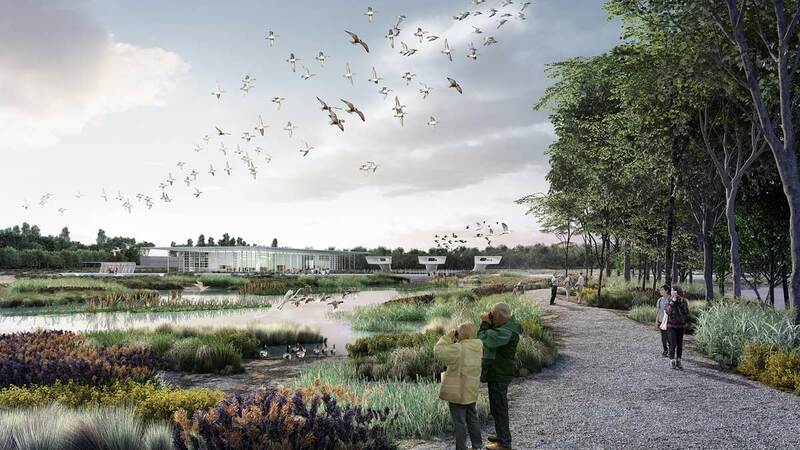 When complete the site will comprise 14 bird hides, a 20-hectare forest and a 3,500m2 visitor and research centre called the Water Pavilion. 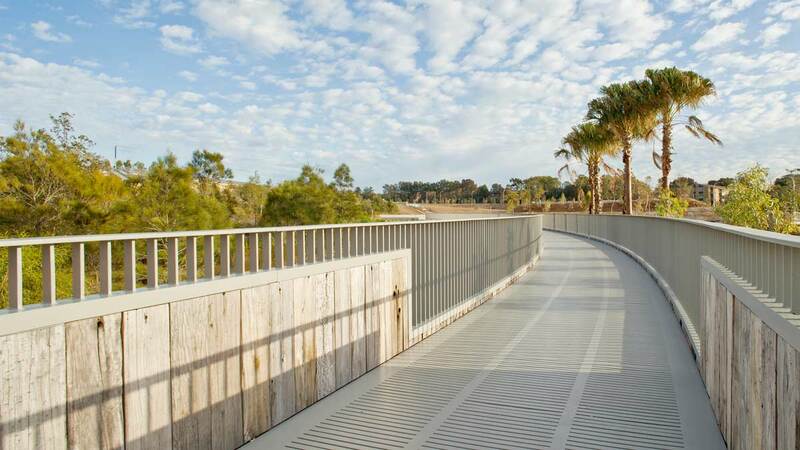 Other public facilities include Wetland Trails, a Lake Loop Walk, Cycle Circuit and Forest Walk making a 7km network of recreation trails. 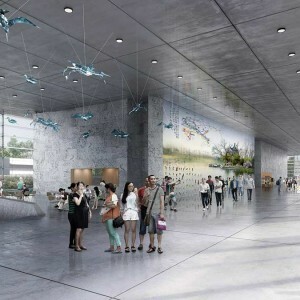 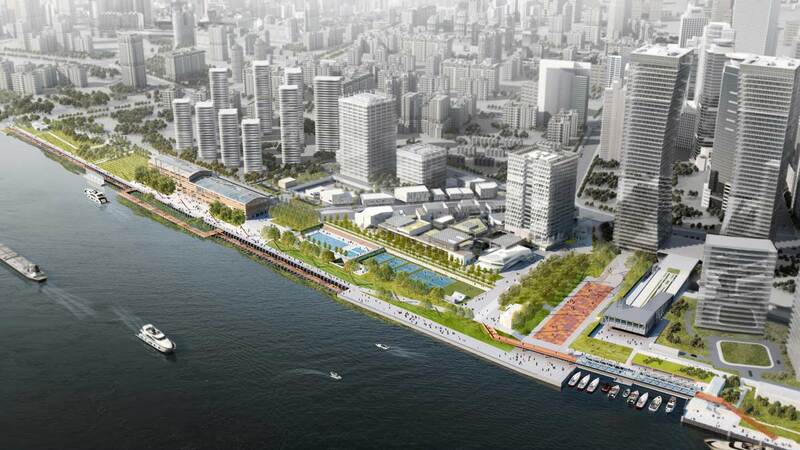 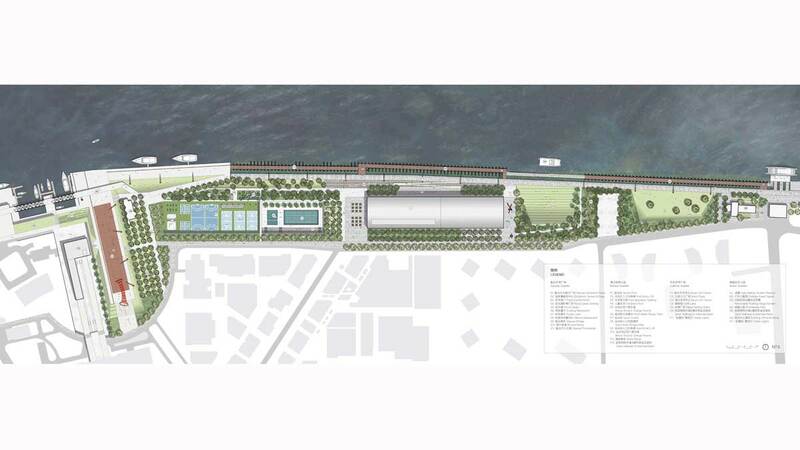 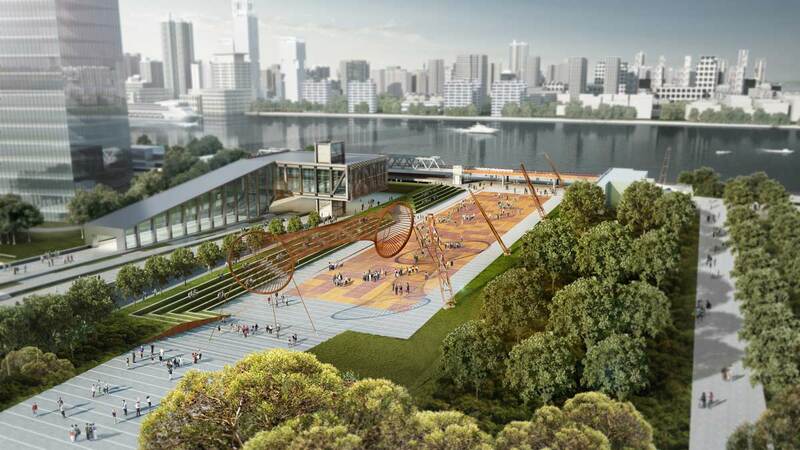 McGregor Coxall was shortlisted as one of three finalists in an open international design competition for the 100,000 sqm East Bund Shipyard site. 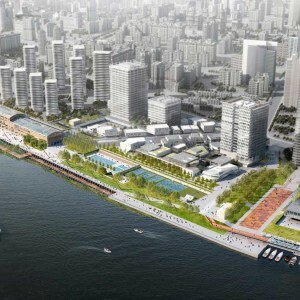 Located on a 1km stretch of historic waterfront, the site was a focal point of Shanghai ship building for over 130 years. 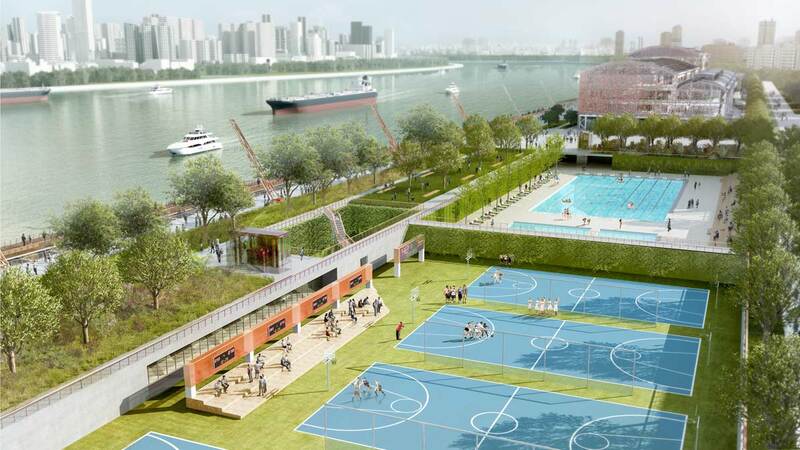 Set on the Huangpu River adjacent to Shanghai’s new business district Luijazhui in Pudong, Xiangsheng Shipyard Park is a post-industrial green space that celebrates the cultural heritage of Chinese manufacturing. 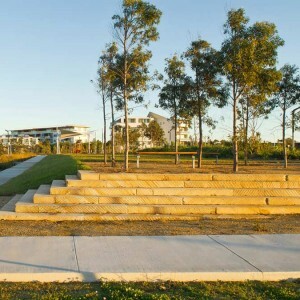 Setting new benchmarks for public realm design, the concept includes a series of innovative strategies in adaptive re-use, access, heritage interpretation and environmentally sustainable design. 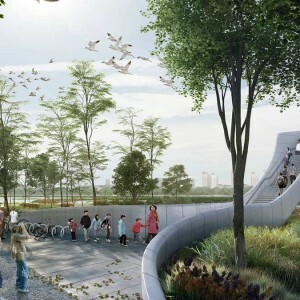 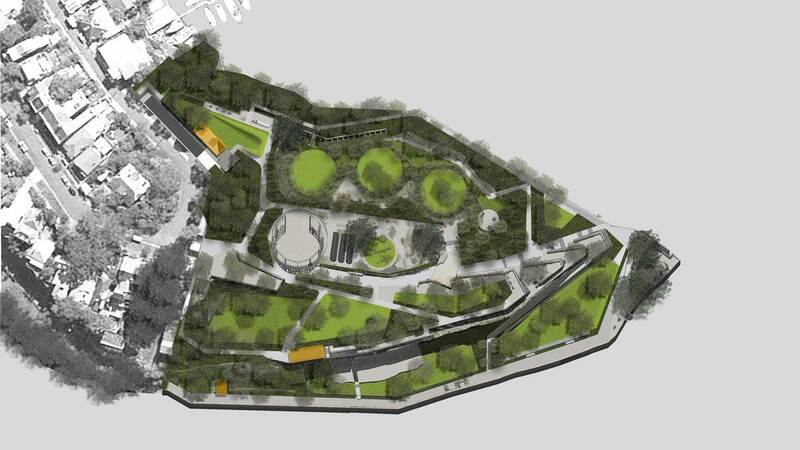 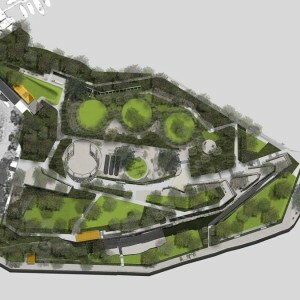 Supporting a diverse range of public activities, the park is planned to be an important link in the East Bund riverfront park system. 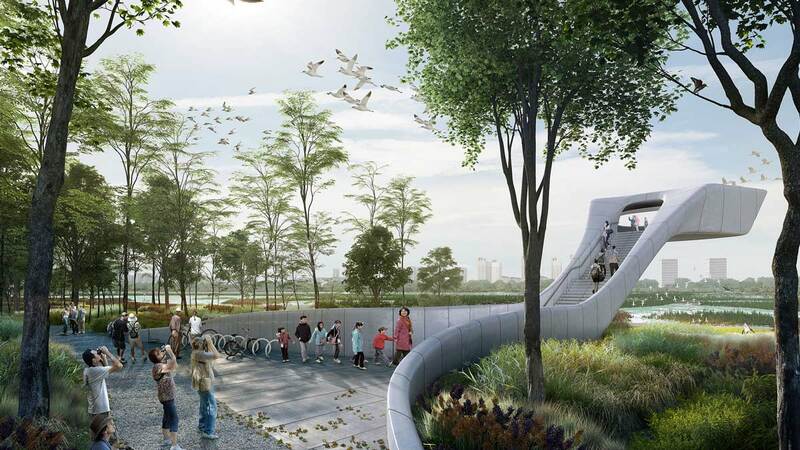 The park melds adaptive reuse of cultural heritage with ecological repair to regenerate an important riverfront with a rich maritime history. 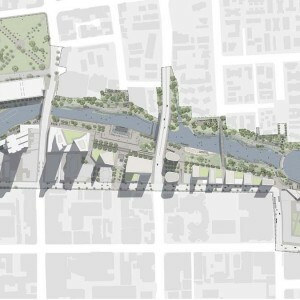 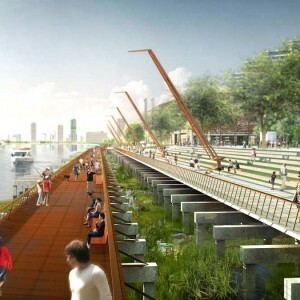 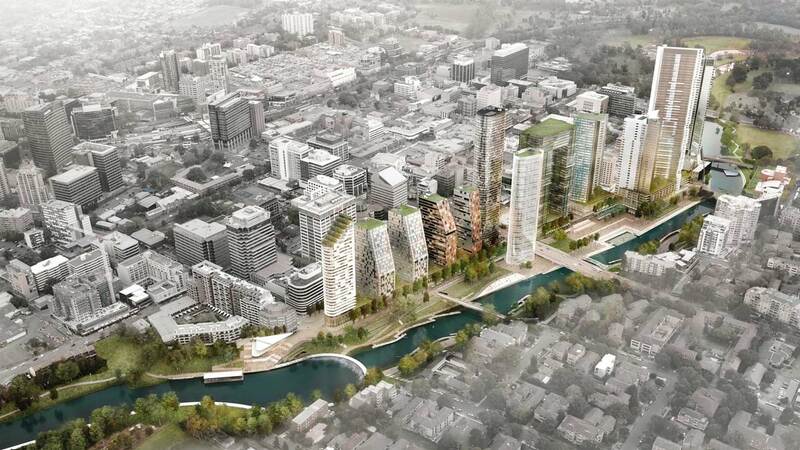 The concept contains four distinct river quarters offering a gradient of activity levels and a diverse range of user experiences. 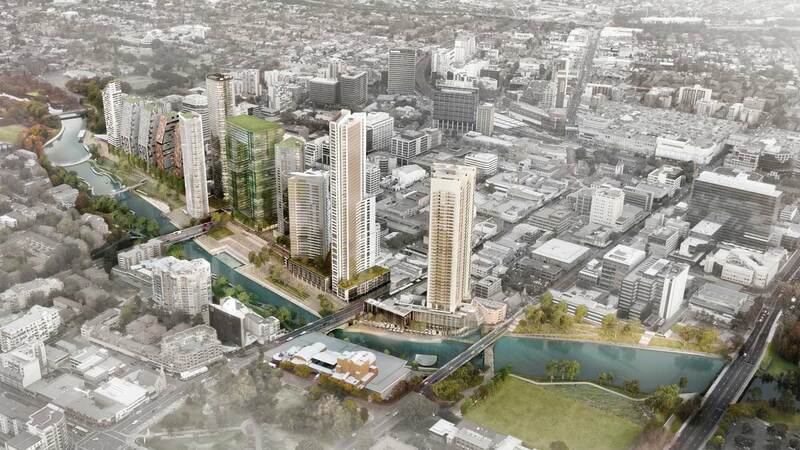 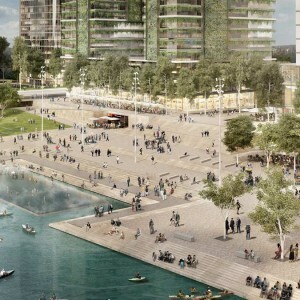 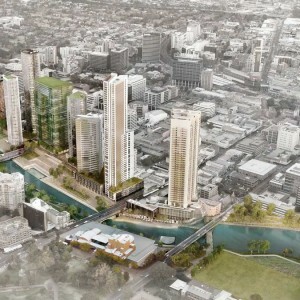 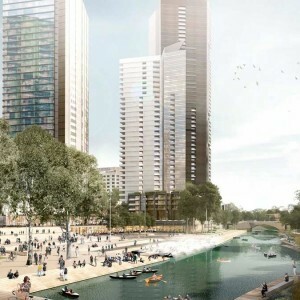 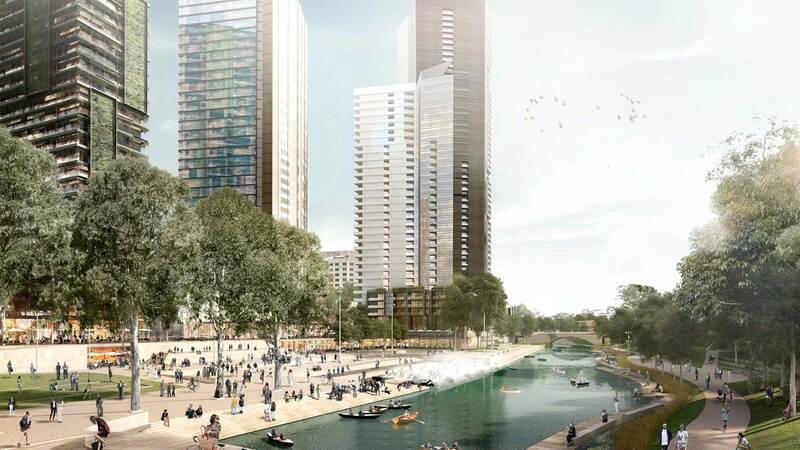 The City River Strategy is a billion dollar regeneration plan for the 31ha Parramatta River urban waterfront in Sydney’s second largest metro centre. 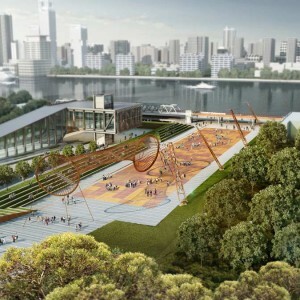 Prepared in consultation with community and adopted in May 2015, the strategy utilises $200 million of public spaces and cultural facilities on government land to catalyse adjacent mixed use urban development. 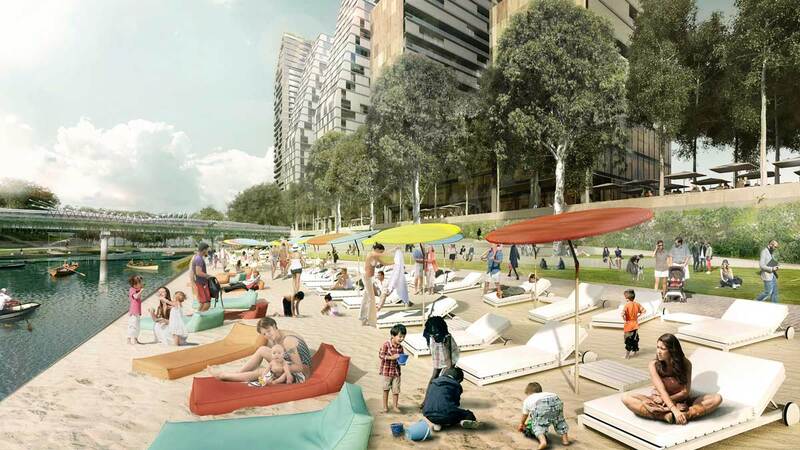 Utilising tactical urbanism and biocity principles the plan unites a diverse range of active public places including an urban beach and water square with massing concepts for supporting hybrid architecture. 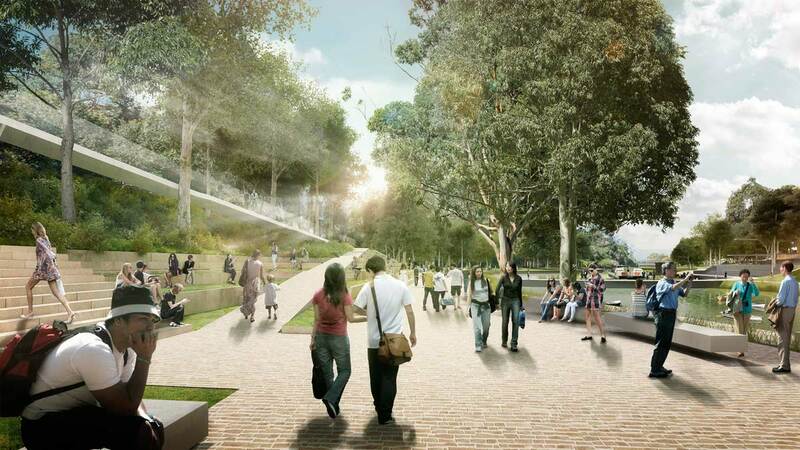 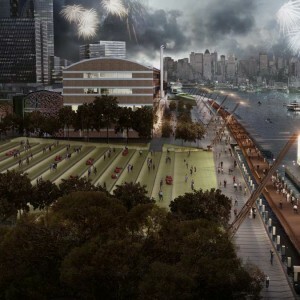 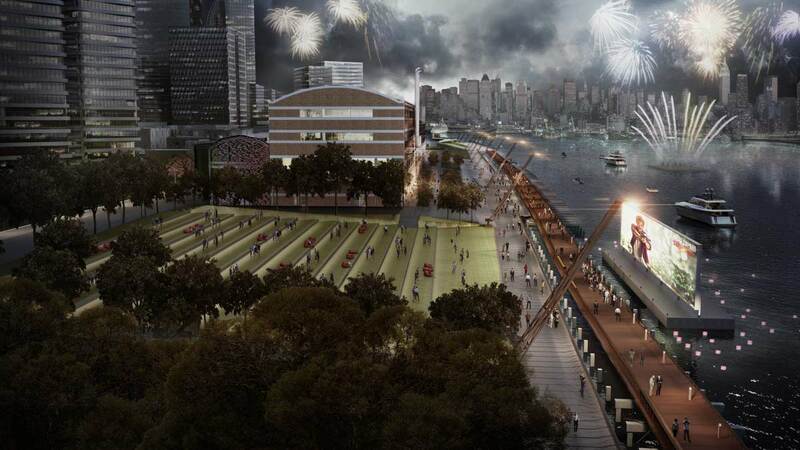 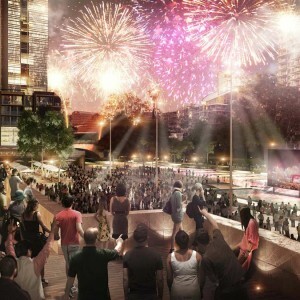 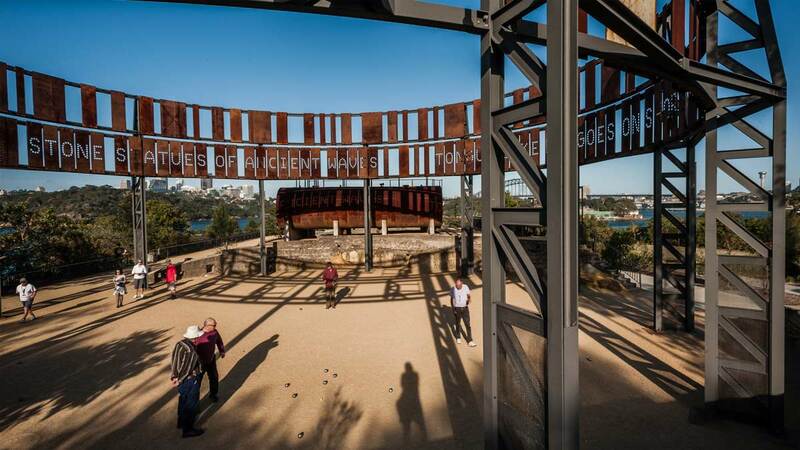 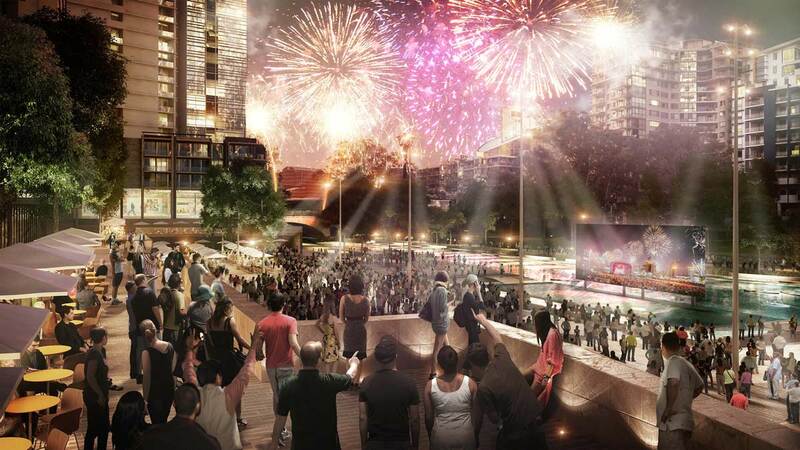 Space is set aside for 10,000 people to celebrate on River Square and a new pedestrian link is included to connect Parramatta Square and the city rail station. 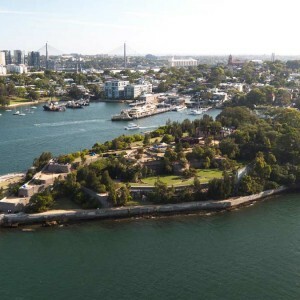 The sister to Circular Quay, Parramatta Quay, enables a fast ferry link to Sydney city. 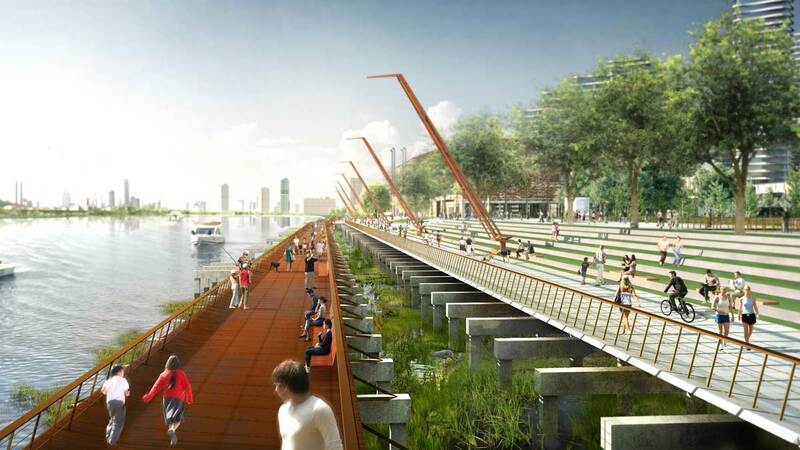 Dutch and German flood engineering technologies are deployed to enable safe occupation of the flood zone by retail and cafe uses. 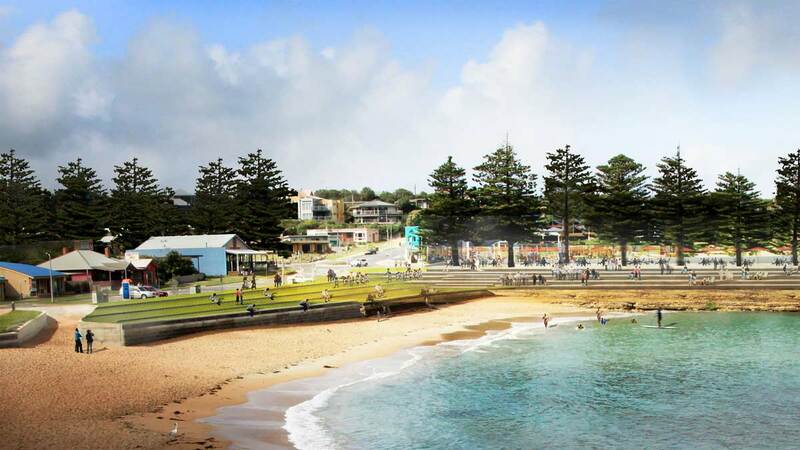 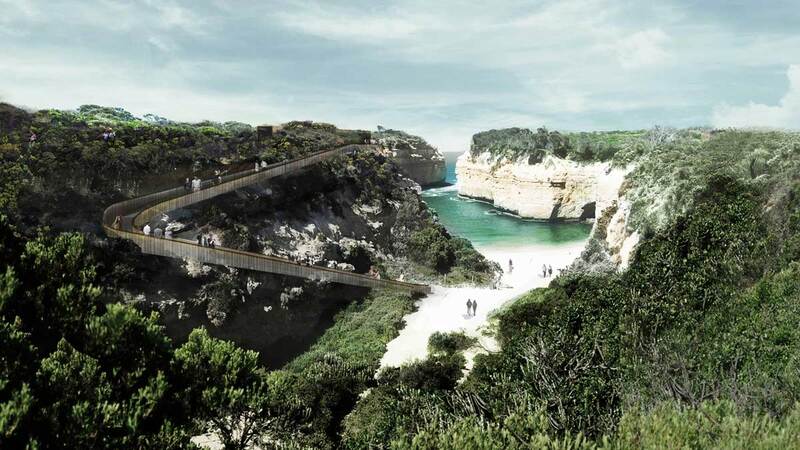 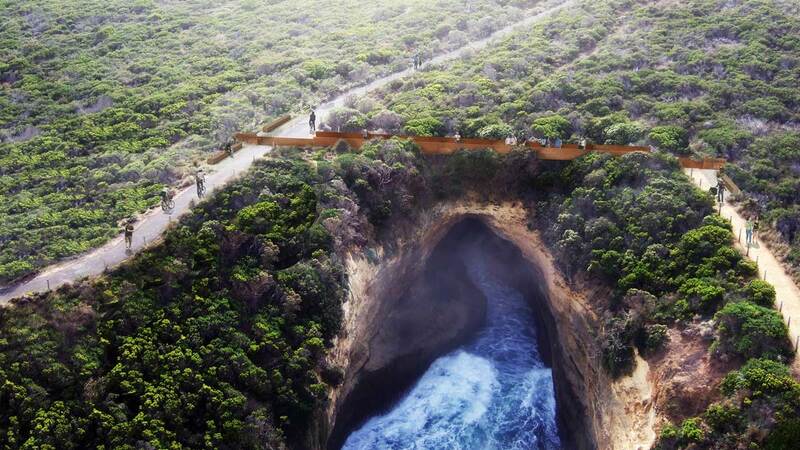 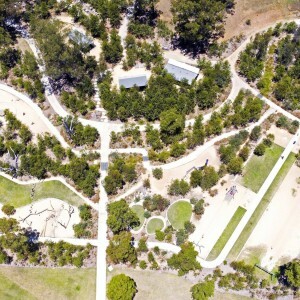 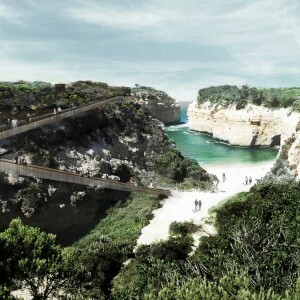 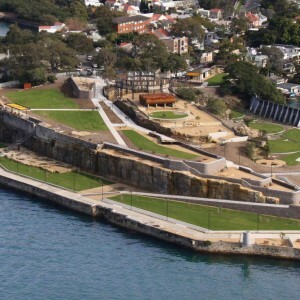 McGregor Coxall were engaged by Parks Victoria to develop a master plan for the Shipwreck Coast in Victoria. 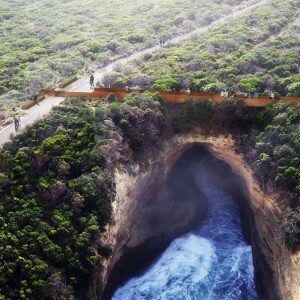 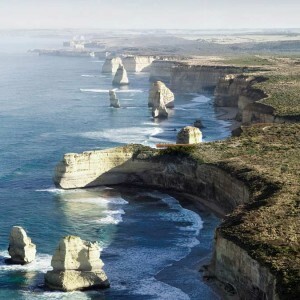 The master plan spans 28 km of coastline along the Great Ocean Road and includes the Port Campbell National Park and Bay of Islands Coastal Park. 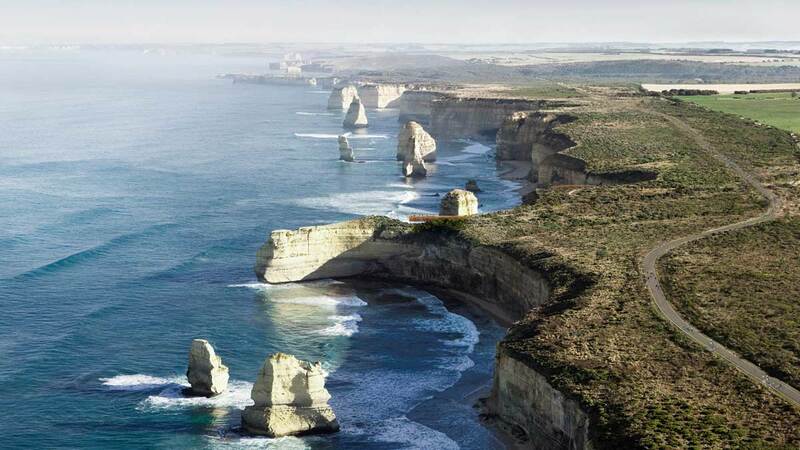 The spectacular limestone stacks and coastal formations, including the 12 Apostles and Loch Ard Gorge, are amongst Australia’s best known features, drawing in excess of 2.6 million visitors per year. 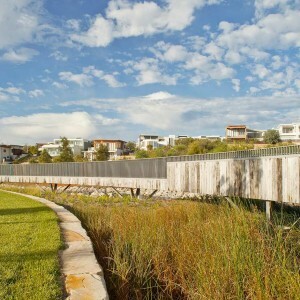 McGregor Coxall worked closely with the community and Project Sponsors comprising Parks Victoria, Corangamite Shire, Moyne Shire, Tourism Victoria and the Office of the Victorian Government Architect to develop the master plan. 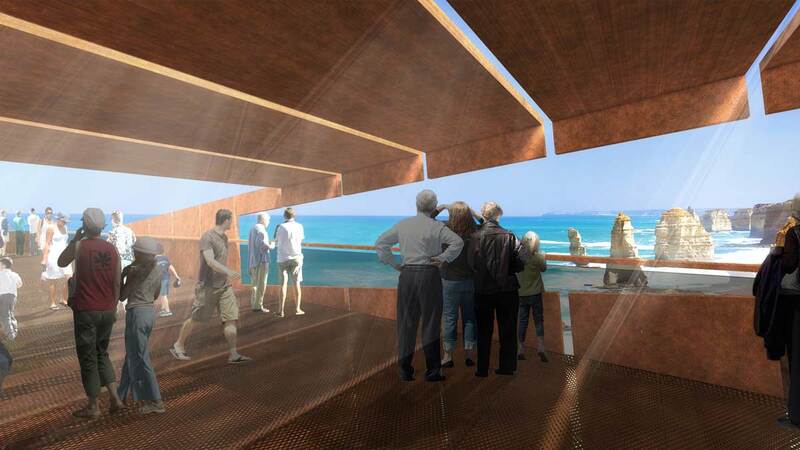 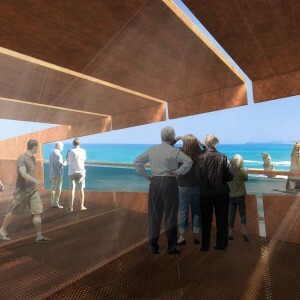 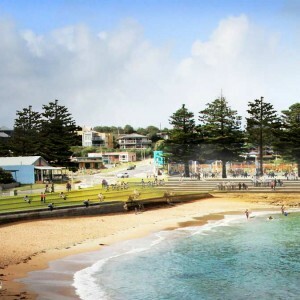 The study was informed by an extensive online community consultation process through www.shipwreckcoastyourplan.com.au The final masterplan provides a visionary plan for the future; to protect the region’s extensive natural and cultural assets and provide rich and engaging visitor experiences to support a sustainable tourism industry and the regional economy. 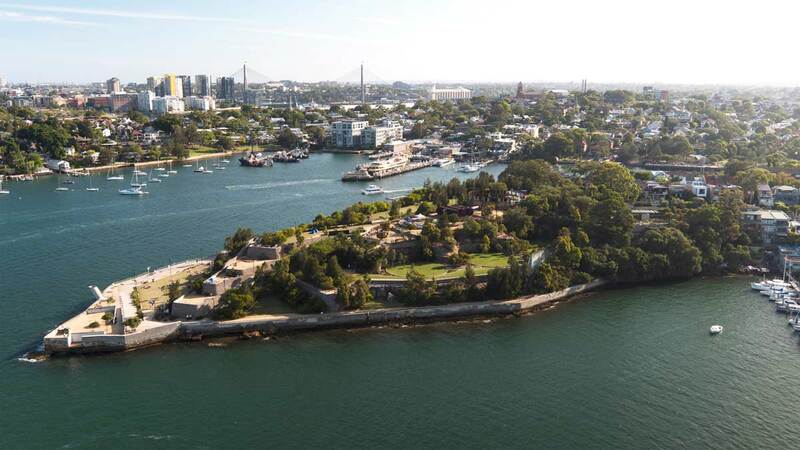 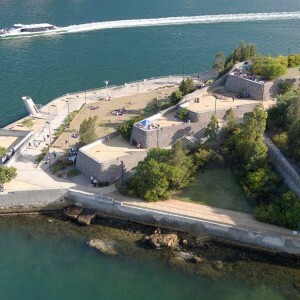 This multi award winning 2.5ha post industrial waterfront park is located on a contaminated former lubricant production site on the Birchgrove Peninsula in the inner reaches of Sydney harbour. 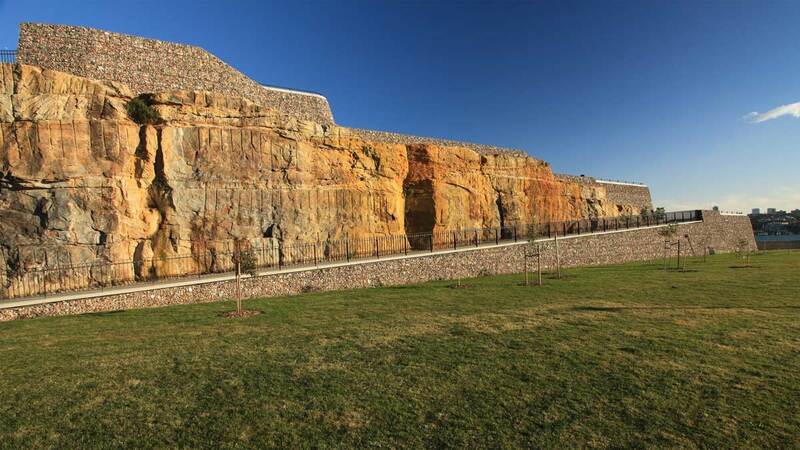 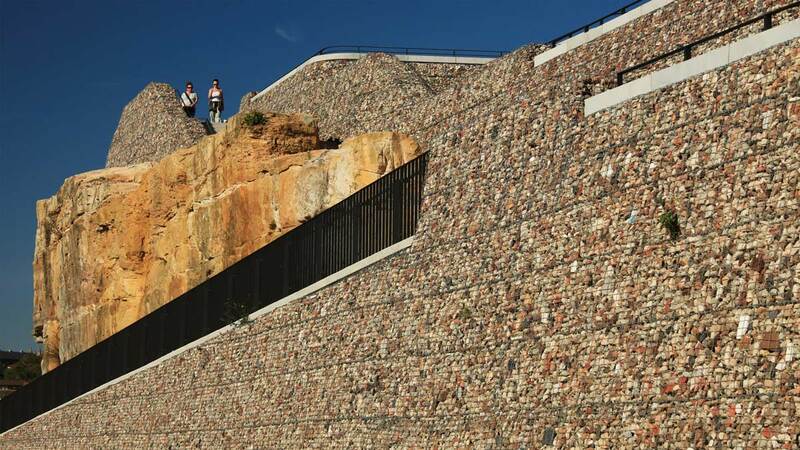 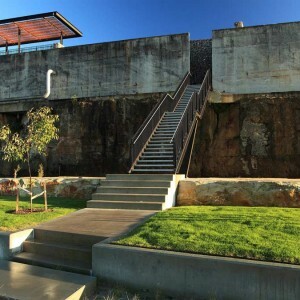 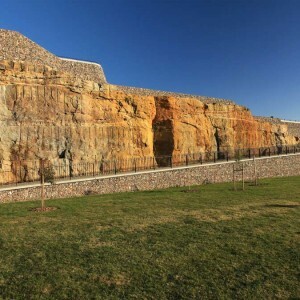 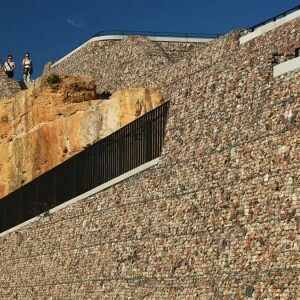 The site’s richly layered history included occupation by indigenous people, construction of the ’Menevia’ marine villa in the 1860’s, quarry use for ship ballast and finally petroleum distillation by Caltex from the 1920’s until 2002. 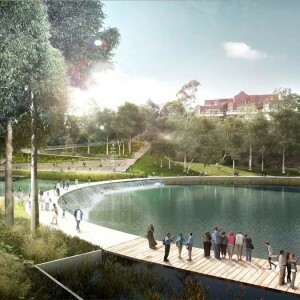 As lead consultant, McGregor Coxall undertook project management, design development, construction documentation and administered the construction contract for the client. 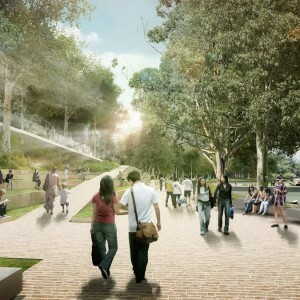 This project’s design is driven by a strong environmental agenda where recycled materials are used site wide. 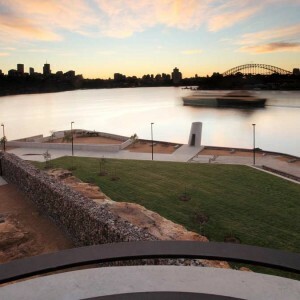 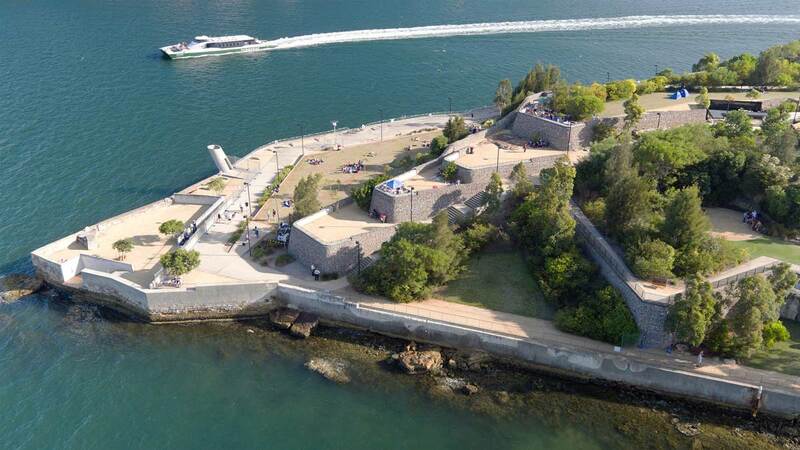 Wind turbine generators reflect a movement away from fossil fuels and an integrated stormwater management and recycle system ensures that all stormwater entering Sydney Harbour from the site has been cleaned and polished prior to its discharge. 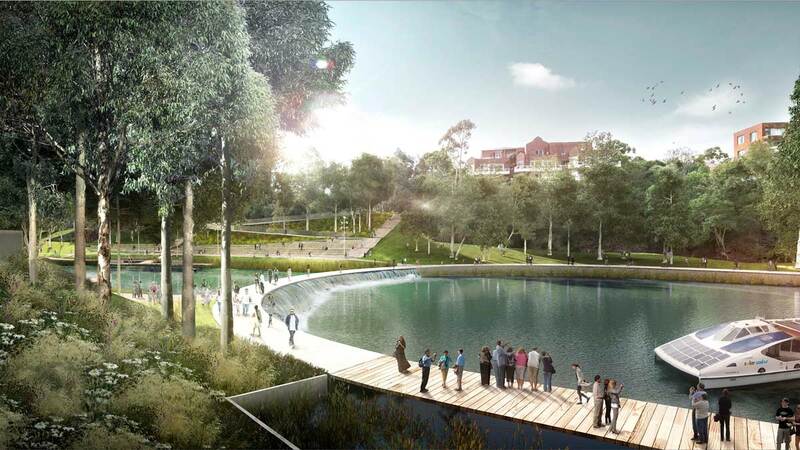 McGregor Coxall worked with Hill Thalis Architects and Candalepas Associates Architects on this proposed 459 dwelling 17Ha sustainable residential neighbourhood on Anzac Parade, Little Bay. 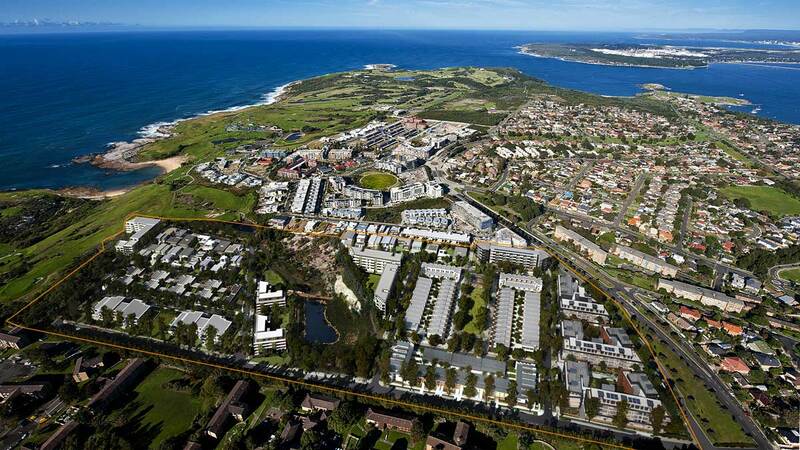 The project has a wide diversity of housing types carefully situated on a regular street grid that respects the coastal topography and geological environment. 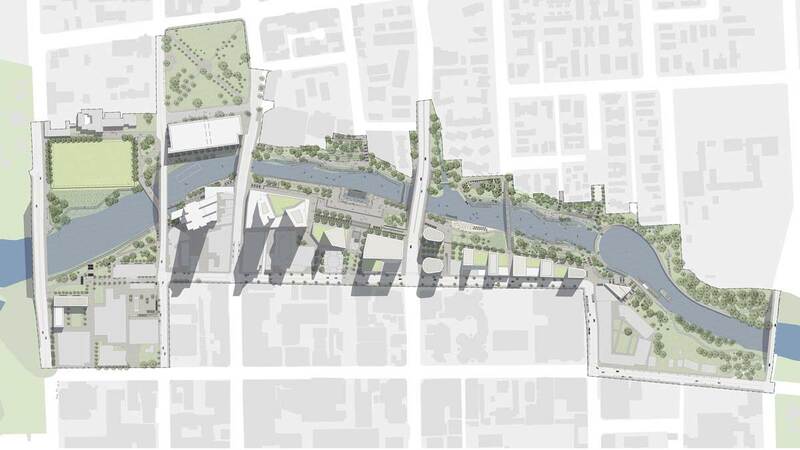 The layout integrates a water sensitive urban design framework into the street typologies, public park and central ecological corridor. 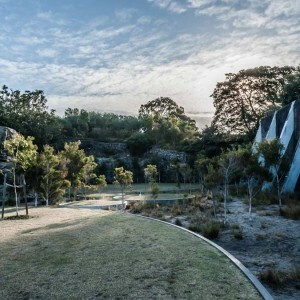 Existing Eastern Suburbs Banksia Scrub, deposits of Miocene geology and Ochre earths of significance to local Aboriginals are protected under the Master Plan. 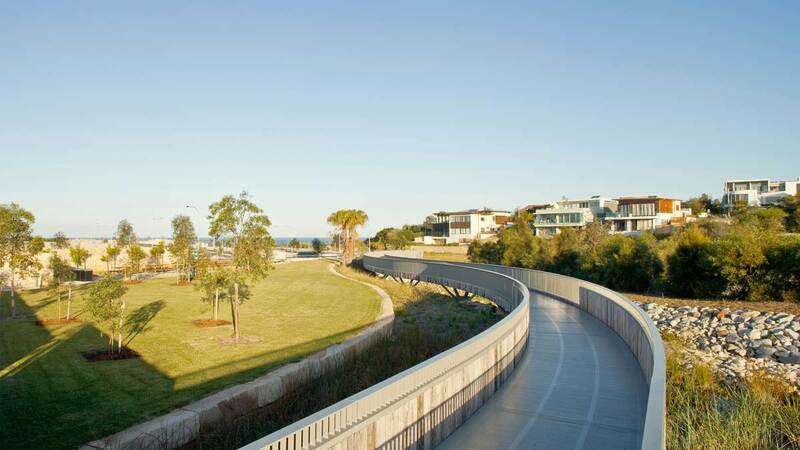 Pedestrian connections to the Prince Henry site to the south and Little Bay Beach and the NSW Coastal Walkway integrate the development into the existing network. 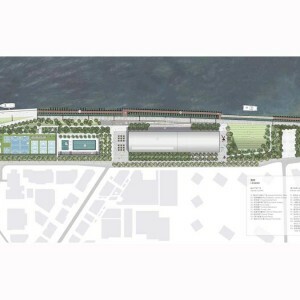 The project will have onsite black water treatment.